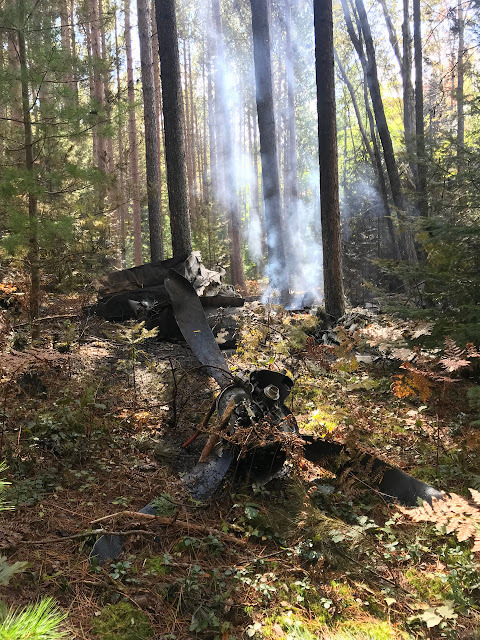 On September 25, 2018, about 0650 eastern daylight time, a Beech 200, N241CK, collided with trees and terrain while on an instrument approach to Oscoda-Wurtsmith Airport (OSC), Oscoda, Michigan. The airline transport certificated pilot was fatally injured. The airplane was destroyed by impact forces and a post-impact fire. The airplane was registered to and operated by Kalitta Equipment LLC, Ypsilanti, Michigan, under the provisions of 14 Code of Federal Regulations Part 91 as a positioning flight. Instrument meteorological conditions existed near the accident site at the time of the accident, and the flight was operated on an instrument flight rules (IFR) flight plan. The flight originated from Willow Run Airport (YIP), Ypsilanti, Michigan, about 0600. According to the operator, the airplane was en route to OSC to pick up passengers and take them to Memphis, Tennessee. The pilot was cleared for the area navigation (RNAV) global positioning system (GPS) runway 6 approach. When the airplane failed to arrive at the airport as scheduled, Kalitta officials notified the Federal Aviation Administration. Iosco County 9-1-1 central dispatch sent police and fire crews to search for the airplane. U.S. Air Force surveillance officers were able to narrow the location of the plane for rescuers. Ground crews located the wreckage in a wooded area of Wilber Township around 1030. The on-scene examination of the accident site revealed the airplane clipped tree tops prior to ground impact. There was fire after impact that consumed the entire airplane. There were numerous chop marks in the trees. Examination of various actuators indicated the landing gear was down and approach flaps had been set. Operator: Kalitta Flying Service, Inc.
WILBER TWP. 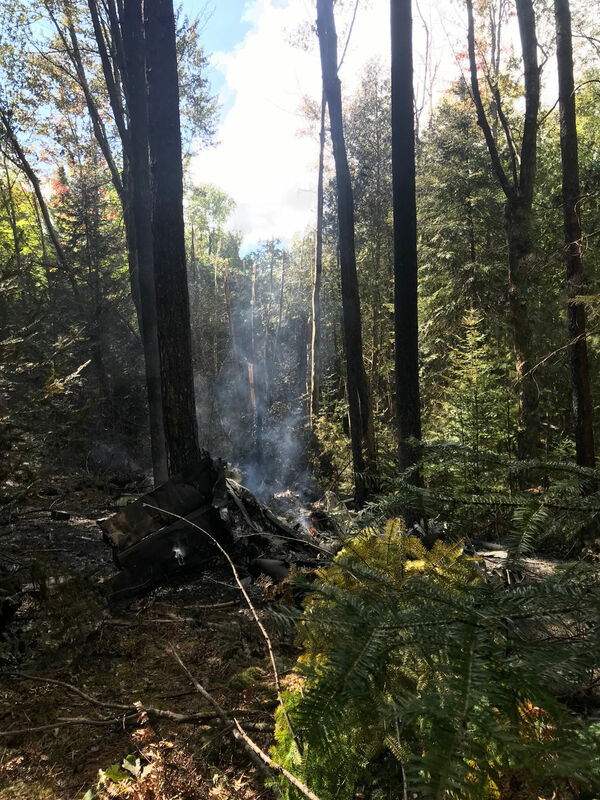 – Authorities say a pilot of a Beechcraft 200 Super King Air was the lone victim after the aircraft crashed into the Huron-Manistee National Forest in Wilber Township Sept. 25. 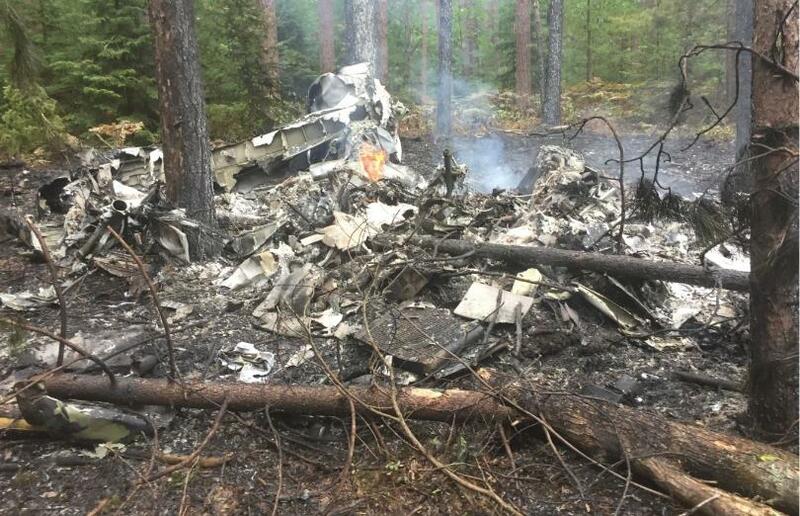 The identity of the pilot, whose remains were located in the wreckage, has not been positively identified, according to troopers from the West Branch Michigan State Police (MSP) post. Nonetheless, officials believe the pilot to be a 33-year-old male from Orlando, Fla.
Officials began an investigation of a possible air crash after notification of a potential missing aircraft from the Federal Aviation Administration (FAA) earlier that morning. The aircraft, a 10-passenger turbo-prop plane, was en route to the Oscoda-Wurtsmith Airport from Ypsilanti to take a charter of passengers from Oscoda to Memphis, Tenn., and activated runway lights at the airport, but never landed. Lights at the airport can be activated by pilots via cockpit radios at the airport. FAA officials notified Iosco County Central Dispatch at 7:30 a.m. in reference to the overdue plane. According to the MSP, the plane was last observed on radar southwest of the airport at a rapid descent. Troopers, along with members of the Oscoda Township Police Department (OTPD), Iosco County Sheriff’s Office and Oscoda Township Fire Department searched and the Iosco County Sheriff’s Office searched the area, which was west of Wells Road in Wilber Township. OTPD Chief Mark David found the wrecked aircraft at approximately 10:27am. The wreck was located about a mile off Wells Road, and about a 100 yards off a fire road off the roadway in a heavily forested area. 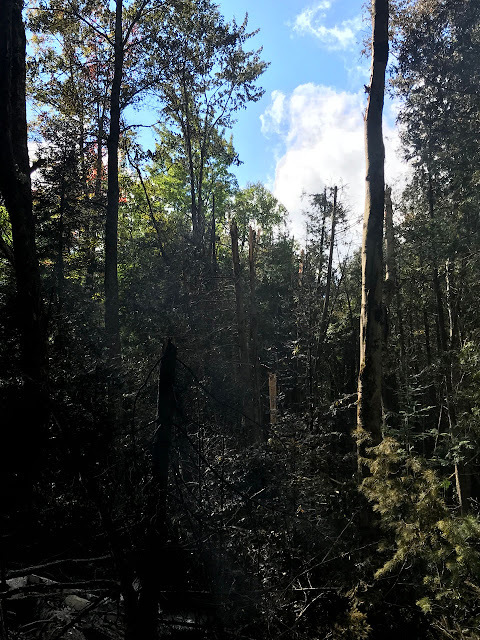 Troopers were further assisted at the crash scene by the Michigan Department of Natural Resources, as well as the U.S. Forest Service, who were on standby with a bulldozers as a precaution. After the wreck was located by local authorities, FAA investigators arrived at the scene, where they identified human remains in the burnt wreckage. No cause of a crash has yet to be determined by FAA officials, who are investigating the crash with the National Transportation Safety Board. FAA Public Affairs Spokeswoman Elizabeth Isham Cory said the investigation will take several months to a year to complete, but said updates will be posted at www.ntsb.gov, with a new update coming within the week. She said all information is preliminary and subject to change as the investigation continues. IOSCO COUNTY, MI -- Investigators with the Federal Aviation Administration have identified human remains at the site of a plane crash in rural Iosco County. Michigan State Police confirmed the discovery of the remains Tuesday night, but they added a positive identification of the victim has not yet been made at this time. The Federal Aviation Administration contacted Iosco County Central Dispatch around 7:30 a.m. September 25th, to report a missing plane. A Beechcraft 200 Super King Air had been en route to Kalitta Air in Oscoda and had left the Ypsilanti Willow Run airport earlier in the morning. The plane was last observed on radar southwest of the airport at a rapid descent. Michigan State Police troopers, Oscoda Township police and firefighters, and Iosco County Sheriff's deputies searched the area. Ground crews found the plane's wreckage around 10:30 a.m. Tuesday morning in Iosco County's Wilber Township, though its pilot was not present. The pilot, believed to be the lone occupant on the plane, is a 33-year-old man from Orlando, Florida. Officers from the Michigan Department of Natural Resources and the United States Forest Service also assisted at the scene.